“Tonitos sin Bienal”, Ensemble SurPlus from Germany, James Avery, on SurPlus CD, December 2007. CD Archivo MV5, Musicaviva, Archivo MV5, CDbaby, Portland, Oregon, 2018. (Computer model by the composer), included in CD Milton Estévez, Symphonic And Chamber Music, Musicaviva, Archivo MV5, CDbaby, Portland, Oregon, 2018. Ensemble of the Institut für Neue Musik (Freiburg), Johannes Schöllhorn, on Exchange: Latin America, CRI CD 848, New York: Composers Recordings Inc., 2000. 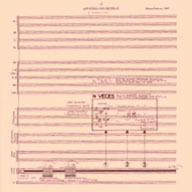 Also included in DRAM, Database of Recorded American Music, and in Composers Recordings Inc. (CRI) ‎– CD 848 New York, 2000. Aventure Divertimento, Computer model by the composer, Louisville, 1999. “Apuntes con Refrán”, National Symphony of Ecuador, Alvaro Manzano, included in CD Milton Estévez, Symphonic And Chamber Music, Musicaviva, Archivo MV5, CDbaby, Portland, Oregon, 2018. Previously released in CD Parte de la Historia, Vol. 3 (Collection of Latin American Electro-acoustic Music) compiled by Ricardo Dal Farra, México: CMMAS, Mexican Center for Music and Sound Arts, 2014. Also included in the web streaming Collection de musique électroacoustique latino-américaine (Collection of Latin American Electro-acoustic Muic) compiled by Ricardo Dal Farra, Montréal: Daniel Langlois Foundation, 2004. 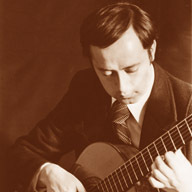 Also included in CD 1 of Música Contemporánea, Convenio Andrés Bello - Sony Entertainment Colombia, PTD 1441-96, 1996. 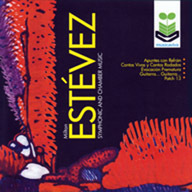 Previously released on record 1 of album Música de Nuestro Tiempo, stereo 301-0292, Quito: Conservatorio Nacional de Música, 1990. 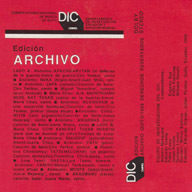 Vueltas a Contar, Nº 1”, Luciano Carrera and Marie-Renée Portais, on Flauta y Piano, LP-5434-A, Quito: Subsecretaría Nacional de Cultura, Diapasón, 1983. “Guitarra...Guitarra...”, Jean Luc Mas, in CD Milton Estévez, Symphonic And Chamber Music, Musicavia, Archivo MV5, CDbaby, Portland, Oregon, 2018. Gary Barnett and Andrés Carrera, in CD Milton Estévez, Symphonic And Chamber Music, Musicavia, Archivo MV5, CDbaby,Portland, Oregon, 2018. Gary Barnett and computer model, in CD Milton Estévez, Symphonic And Chamber Music, Musicaviva, Archivo MV5, CDbaby, Portland, Oregon, 2018.